Nashville Originals is at it again! 2019 starts with a delight to your tastebuds with Nashville Restaurant Week 2019! 51st is helping celebrate by opening just this week for dinner on Tuesday, Jan 22 in addition to our usual dinner service through Saturday, Jan 26th. We'll have price fix and a la carte options, pulling favorites from our menu, and are including some great wine specials for the week. We don't take reservations but do have a call-ahead list. Give us a ring and let us know what night and time we can expect you! 615-712-6111. UPDATE (1/15): We need to keep the park closed for another week… Mother Nature’s cold, wet streak has been helpful, but the new grass is still fragile. THANK YOU for your patience! It’s time for improvements! You have loved our park down to the dirt - and we’re going to do some renovations and improvements to help repair that. The park will be closed BUT all dogs are always welcome (on leash) at 51st Kitchen on the patio or closed-in porch. We apologize for the inconvenience, but it will be worth it! After serving up a delicious meal on December 31, we’re taking a day to ring in the new year with our friends and family. We’ll be open as usual on Thursday, Jan 3, 4pm. Be safe, warm, and happy! We're opening for dinner service on a Sunday! 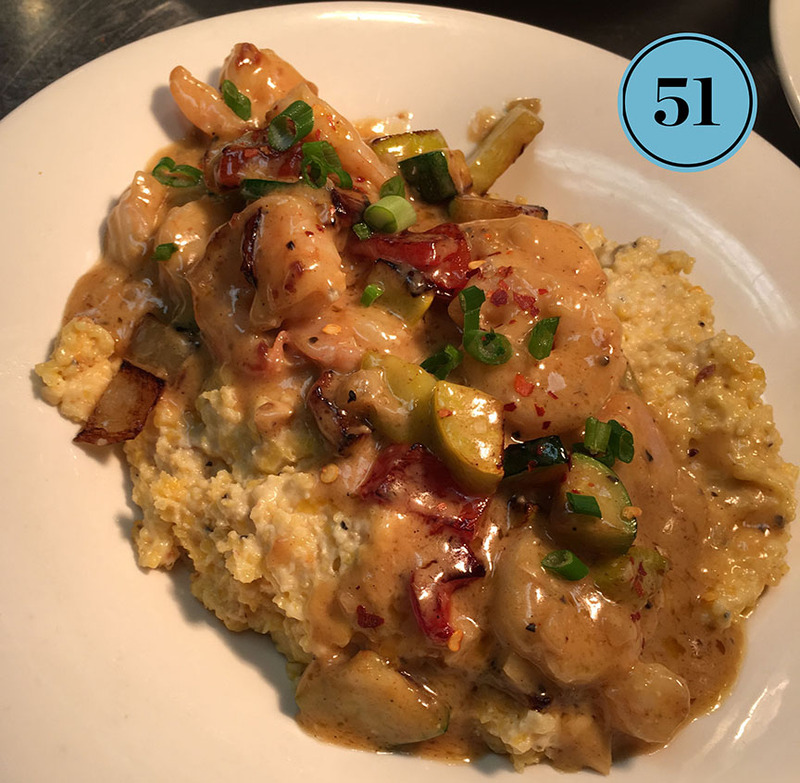 Kick off your special night with dinner at 51st Kitchen. Call now for call ahead seating. Dinner service: kitchen open 5pm-9pm. perfect timing for a special celebration before the fireworks begin. Wishing our friends and family a happy holidays from 51st Kitchen! We are closed on December 26th for our staff to spend time with their families. Happy Holidays, and see you on Thursday through the weekend! All of us at 51st Kitchen and Bar are thankful for our customers, their pups, and friends and family. To help our staff celebrate theirs, we will be closed for the holiday, on both Thursday and Friday, November 23 and 24. We'll be open bright and early for for brunch on Saturday, November 25 at 9am! Just in time for holiday giving, our annual gift card sale is here! Best value for your money, purchase now for gifts to your loved ones (or yourself… we won’t tell… ). Call or email if you have any questions, 615-712-6111. Back to the west coast: This time Oregon and Washington wines. The valleys, mountains, and cooler temps are great for growing grapes. Come see which you prefer. Purchase your tickets online here! Tickets go on sale two weeks prior. As the leaves are starting to fall, we're going to focus on wines celebrating the tree! Branches, leaves, roots, and nature. We're bringing them back! Love and Exile (Nashville's Urban Winery) over in East Nashville is bringing some wines for a tasting. Which one will you fall in love with? Enjoy a yoga class inside Fifty First Kitchen and Bar's dog park all while surrounded by adorable, adoptable dogs from Agape Animal Rescue! Come early to meet the adoptable dogs before joining NuPower Yoga in downward dog. After class, enjoy a delicious brunch at Fifty First Kitchen & Bar. Jacob Martin brings the sounds of your favorite songs and new sing-a-longs to the patio. A raw sound with the infusion of country, we know you'll enjoy the night ahead. To learn more about Jacob, go here. Arrive early for social hour (4pm-6:30pm) and stay for dinner and drinks (bar is open all day, kitchen reopens for dinner at 5pm). Fine Print: Things may change at the last minute, especially if weather doesn't cooperate! keep an eye on social media @51Nashville for changes. Taking it to the left coast: California Wines! Let's taste the diversity of what California has to offer. Live music on the patio! Songwriter Dew Pendleton is treating us to a night of fun! He finds inspiration in country, pop, rock, and soul, writing songs that are reflective of his Gulf Coast upbringing. To learn more about Dew Pendleton, click here. Also: We are hosting Bark to School! Hosted by Pet Wants Nashville South, there will be some fun things going on while Dew plays on the patio! Italia is a magical place - especially in the fall! Join us as we taste the diversity of Italian wines. Sam West is back! As the weather cools down, we're bringing back fun times on the patio. Enjoy drinks on the patio, the smooth sounds of Sam and the delicious food coming out of the kitchen. Social hour starts at 4pm (through 6:30pm), so join us early and stay late. To learn more about Sam West, click here! Fine Print: Things may change at the last minute, especially if weather doesn't cooperate! keep an eye on social media @51Nashville for changes. We've been postponing this theme until we found the best. Buttery, oaky, rich, flavorful, all perfect for a summer evening. Come taste your next favorite white wine. Starting the weekly Wine Wednesday tastings off with a dry versus sweet challenge! Rachel Rodriguez and Friends will be bringing smooth sounds and hot music to the patio! Rachel brings some familiar songs and latin vibes to keep the summer nights cool. Social Hour is 4-6:30pm, so arrive early to get a table, some drinks, and food. The bar is open all day, and the kitchen is open 5pm-9pm for dinner. Go to www.51nashville.com for other details! Fine Print: things may change at the last minute! Keep an eye on social medias @51Nashville for things like weather cancellations. Live music at Fifty First Kitchen and Bar by Jenna McClelland and Kyle Lewis! Get a preview of the night at Jenna McClelland. Connor Mccutcheon is back again tonight! Connor's a young songwriter in Nashville, headed off to college in the fall. Let's give him a good, Nations welcome this summer. Learn more about Connor here. Live music on the patio! Arrive early for social hour (4pm-6:30pm) and stay for dinner and drinks (bar is open all day, kitchen reopens for dinner at 5pm). Fine Print: Things may change at the last minute, especially if weather doesn't cooperate! keep an eye on social media for changes. Live music on the patio! Come early to claim your seat and enjoy social hour (4pm-6:30pm), and stay for dinner (kitchen is open for dinner from 5pm-9pm). Brunch 9am-2pm, bar open all day. We're pleased to introduce THE HUES tonight! Enjoy the sweet sounds and unique, smart harmonies of Noah and Josh on our patio. Social Hour is 4-6:30pm, so arrive early to get a table, some drinks, and food. The bar is open all day, and the kitchen is open 5pm-9pm for dinner. Go to www.51nashville.com for other details!To learn more about The Hues, go here (click the top left menu bars). Fine Print: things may change at the last minute! Keep an eye on social medias for things like weather cancellations, or the like. We will be closed on Wednesday, Thursday, and Friday morning (July 4-6) for the July 4 holiday! Reopening for dinner on Friday, July 6. As usual, 51st Kitchen will be closed Monday and Tuesday, and we're extending the holiday through brunch on July 6. We'll reopen for dinner at 4pm on July 6 - just in time for Social Hour! Drink specials starting at 4pm on Friday, July 6, food specials when the kitchen opens at 5pm, both last through 6:30pm. We hope you have a safe and happy holiday with lots of fun and relaxation! Connor Mccutcheon will treat us to a short set tonight! Connor's a young songwriter in Nashville, headed off to college in the fall. Let's give him a good, Nations welcome this summer. Learn more about Connor here. THIS IS THE WEEK! Finals of BEST OF THE BEST. We're taking the top two from the first three weeks of our BEST OF THE BEST tastings in June. Which one is YOUR favorite? Help 51st Kitchen choose their next wines! As a restaurant focused on community, we want you to help us select the following week's wine special. These tastings are for a limited number of people to keep it small, casual, and social. Included are 2oz samples of each wine, light bites, and new friends. Located in the bar, tastings run from 6pm-7pm. Feel free to stick around for a glass of your choosing from the event at a special price, as supplies last. Because of threat of extreme heat, this event has been postponed. We're determining a date in late September - so keep an eye out for more details! Sorry for the inconvenience! 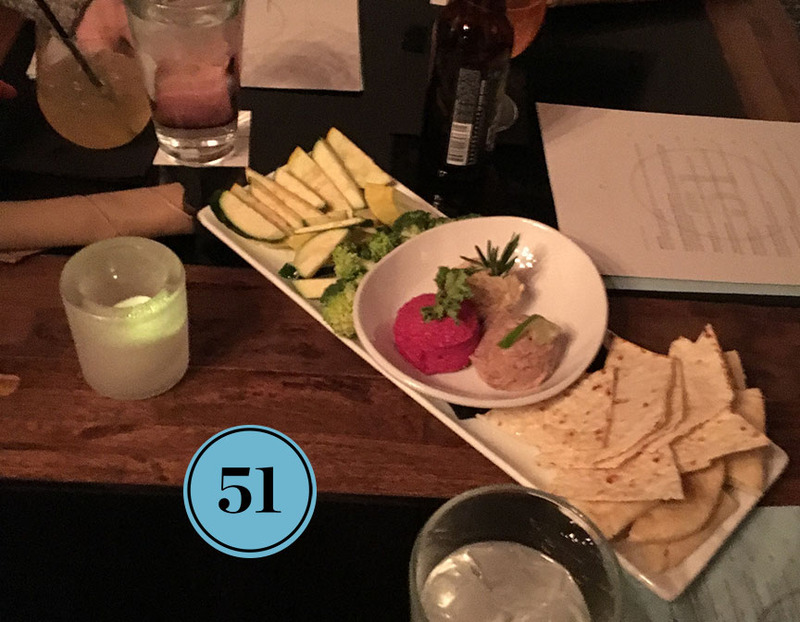 The Dailey Method Nashville barre studio is teaming up with 51 Fifty First Kitchen & Bar to raise money for Agape Animal Rescue! Enjoy a barre class inside Fifty First Kitchen and Bar's dog park all while surrounded by adorable adoptable dogs from Agape Animal Rescue! Come early to meet the adoptable dogs before joining The Dailey Method in downward dog. After class, enjoy a delicious brunch at Fifty First Kitchen & Bar. Tickets are just $30 and includes class with the Agape dogs and brunch! All proceeds will be donated to Agape Animal Rescue. Tickets are limited so be sure to buy before we sell out! Please remember to bring a yoga mat with you for class. Come rain or shine! Live music on the patio! Songwriter Dew Pendleton is treating us to a night of fun. He finds inspiration in country, pop, rock, and soul, writing songs that are reflective of his Gulf Coast upbringing. To learn more about Dew Pendleton, click here. We're tasting the best of the best! Final bracket style, we'll be pulling all the number 1 winners from all our previous Wine Wednesdays, putting them together in a random assortment. The top two favorites will advance to the final week.